Many rural communities lack clean water and reliable toilets, but working together we can create lasting change that leads to healthy lives. Together we can unlock people’s potential with clean water, reliable toilets and good hygiene. Learn more about our history and our global work. Find out how you can help fulfill our mission in Colombia. Meet the team that is out in the field every day working with communities. Our central office is located in Riohacha, the capital of La Guajira, since a large part of our is focused in that department. Soon we will be expanding to other regions within Colombia. We are the #1 international not-for-profit organization dedicated exclusively to clean water, sanitation and hygiene. We started in 1981, with the purpose of helping people break free from poverty and change their lives for good by tackling these three essentials: clean water, reliable toilets and good hygiene. We have programs in over 28 countries and we have reached more than 25 million people around the world with clean water and more than 24 million with reliable toilets. 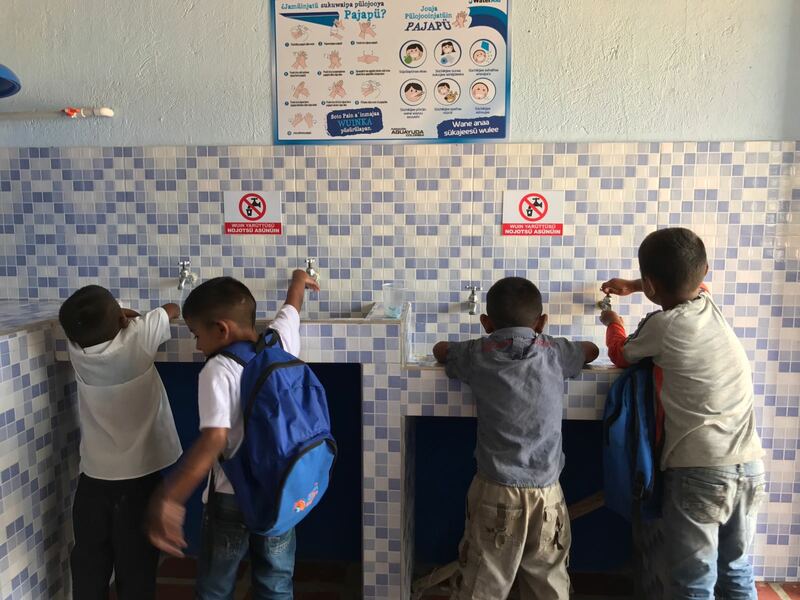 WaterAid launched its program in Colombia in early 2016 after joining forces with Aguayuda Inc., a small but committed organization with ten years of experience in the region. Our central office is located in Riohacha, the capital of La Guajira, since a large part of our is focused in that department. Soon we will be expanding to other regions within Colombia. La Guajira is a desertic peninsula in the northern tip of Colombia. According to a 2013 United Nations Development Program (UNDP) report, 30% of the population of La Guajira lives below the poverty line, of which 26% live in extreme poverty with less than $1 per day. La Guajira is home to the Wayúu indigenous people, who make up approximately 20% of the indigenous population in Colombia. The Wayúu live in dispersed and marginalized rural communities, with very limited access to services. It is estimated that 28% of children under the age of five suffer from chronic malnutrition and approximately one indigenous child under the age of 5 has died from causes related to malnutrition every week during the last 2 years. 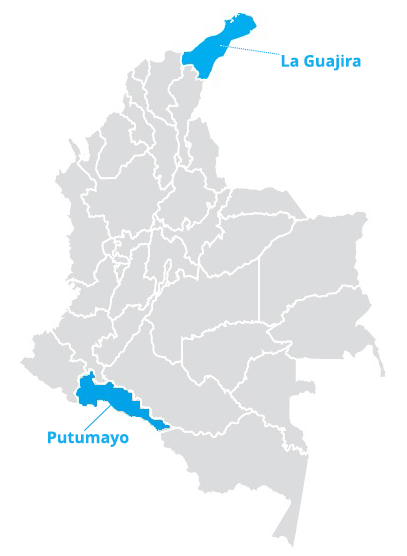 Soon we'll be expanding in the department of Putumayo. Our work in water, sanitation and hygiene (WASH) focuses on women, girls and rural indigenous communities. To work with these rural populations we have three key approaches. We work in schools and childcare centers to bring access to clean water, reliable toilets and hygiene education, so that children can continue to enjoy their childhood while having reliable and safe conditions to study in. To promote healthy hygiene habits, we have developed games, dynamics and pedagogical materials to generate learning and behavioral changes in a fun way that is also adapted to the context of the communities we work with. We work to ensure that everyone we work with, in the communities excluded from services and infrastructure, has sustainable access to water, sanitation and hygiene. We do this by working together with communities to find efficient and sustainable solutions, using technologies appropriate to the environmental and sociocultural context. We build alliances with diverse stakeholders to coordinate efforts and improve the WASH situation in marginalized communities in Colombia. By working together, we can foster local, sustainable and resilient development. Local and departmental governments, national government entities, NGOs, universities, research centers and the private sector. 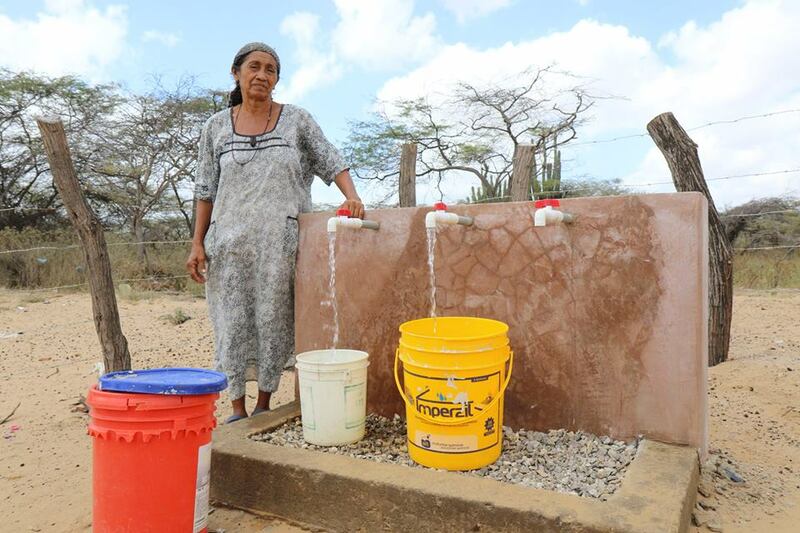 Many people in La Guajira and other parts of Colombia are still excluded from sustainable access to clean water and reliable toilets. The strengthening of alliances and multi-sectoral networks are essential in achieving universal access to WASH and its sustainability over time. For WaterAid, multi-sectoral coordination at the local, departmental and national levels is a priority. To bring access to clean water and reliable toilets in marginalized communities and to build local capacity to ensure sustainability and resiliency when facing climate change impacts. 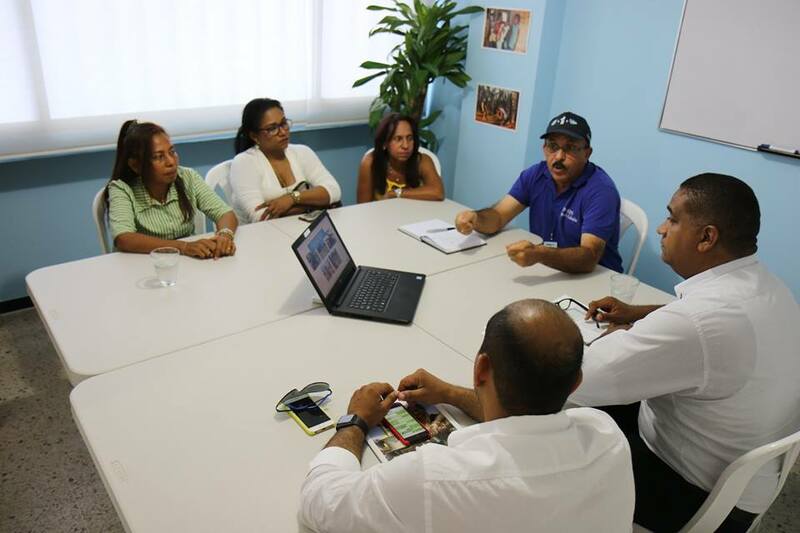 Share WaterAid Colombia’s mission with colleagues, friends and family! Share our posts and calls to action! All the work we do in Colombia would not be possible without the dedication of our team, the motivation of our communities and your support. The WaterAid Colombia team is small but powerful. With only 6 people on the team, the Colombia program has already managed to bring clean water to more than 3,000 people since 2016, and this is still only the beginning. Be it in the field doing workshops or forming alliances at a national level, WaterAid Colombia is always working to ensure that the voices and needs of rural communities are heard and addressed.